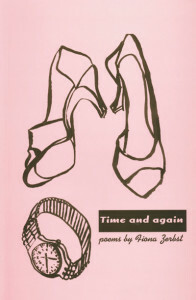 Fiona Zerbst was born in Cape Town in 1969. She has lived in Johannesburg and Cape Town and spent six months in Ukraine and Russia in 1995. Her two previous books of poetry are Parting Shots (Carrefour Press, 1991) and The Small Zone (Snailpress, 1995). Her poems have appeared in the anthologies The Heart in Exile (Penguin), The Pick of Snailpress (David Philip) and City in Words (David Philip). She holds a Masters degree from UCT and works as an editor.